Meet the Harcourts of Chevy Chase, Maryland. A respectable middle-class, middle-age, mixed-race couple, Harold and Forsythia have four eminently marriageable daughters—or so their mother believes. Forsythia named her girls after Windsor royals in the hopes that one day each would find her true prince. But princes are far from the mind of their second-born daughter, Elizabeth (AKA Bliss), who, in the aftermath of a messy divorce, has moved back home and thrown herself into earning her PhD. All that changes when a Bachelorette-style reality television show called The Virgin takes Bliss’s younger sister Diana as its star. Though she fights it at first, Bliss can’t help but be drawn into the romantic drama that ensues, forcing her to reconsider everything she thought she knew about love, her family, and herself. 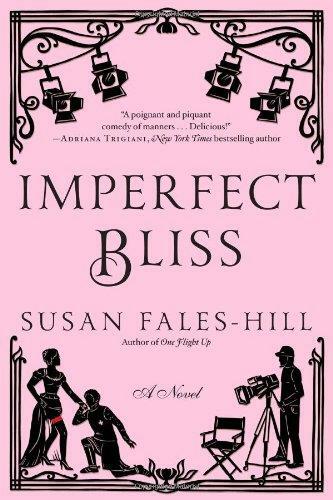 Fresh and engaging, Imperfect Bliss is a wickedly funny take on the ways that courtship and love have changed—even as they’ve stayed the same. Susan Fales-Hill is the author of One Flight Up and the acclaimed memoir, Always Wear Joy. A contributing editor at Essence, her writing has also appeared in Vogue, Town & Country, and Travel & Leisure. She lives in New York City.